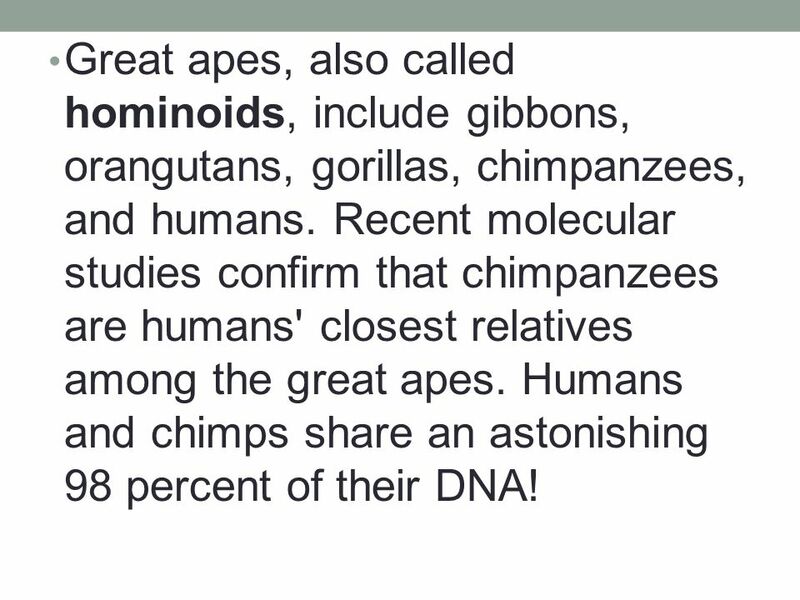 3 Great apes, also called hominoids, include gibbons, orangutans, gorillas, chimpanzees, and humans. Recent molecular studies confirm that chimpanzees are humans' closest relatives among the great apes. Humans and chimps share an astonishing 98 percent of their DNA! 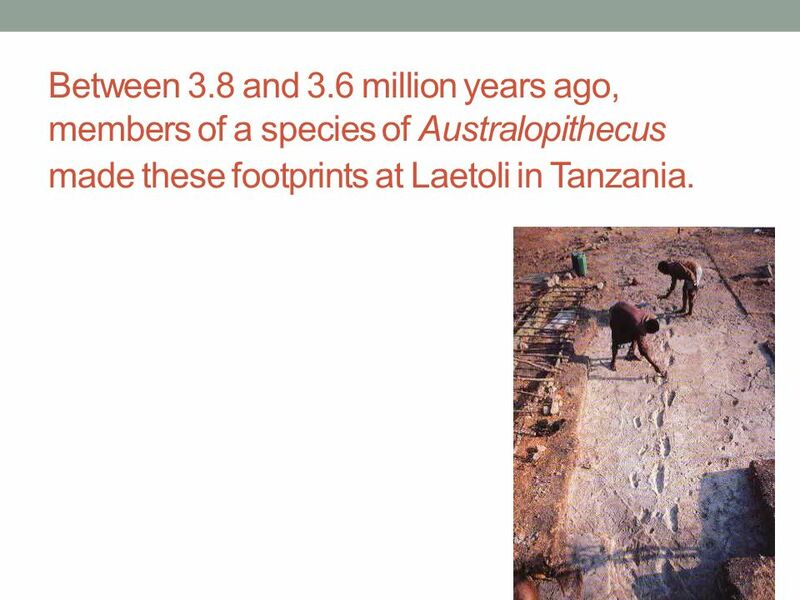 7 Between 3.8 and 3.6 million years ago, members of a species of Australopithecus made these footprints at Laetoli in Tanzania. 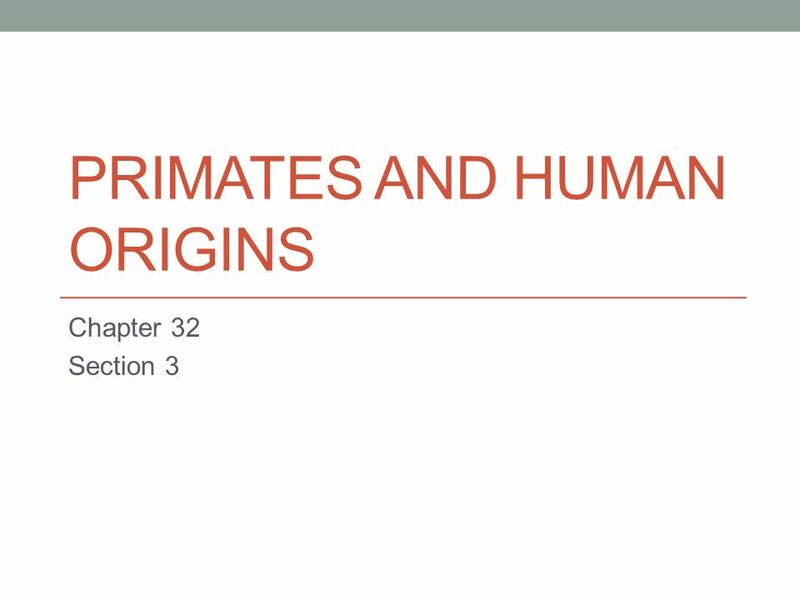 Download ppt "Primates and Human Origins"
Evolution of Primates Chapter 6, Section 3. Ch 12: The History of Life. 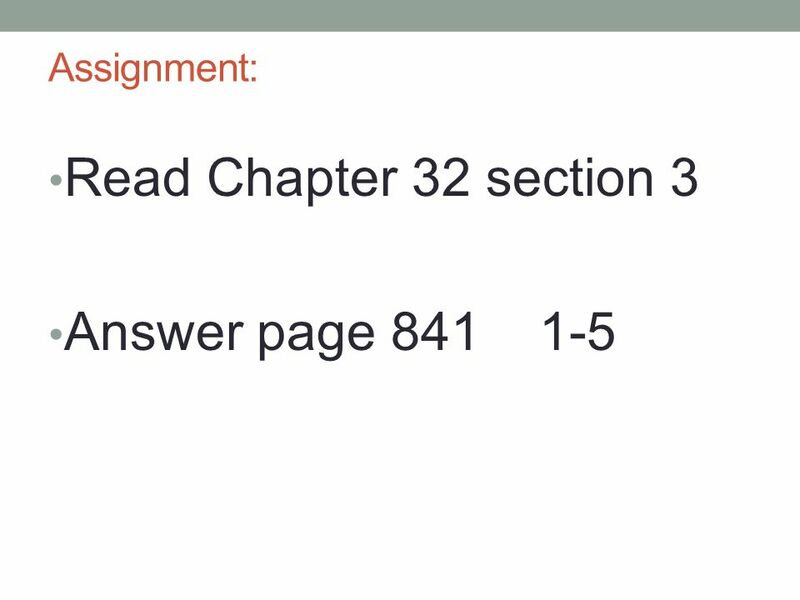 Chapter 34 Review Humans Charles Page High School Dr. Stephen L. Cotton. 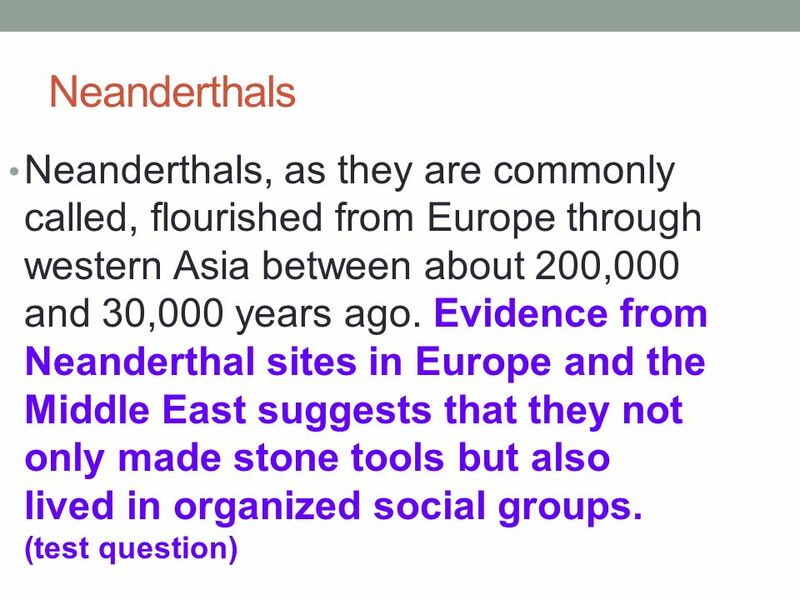 KEY CONCEPT Humans appeared late in Earth’s history. 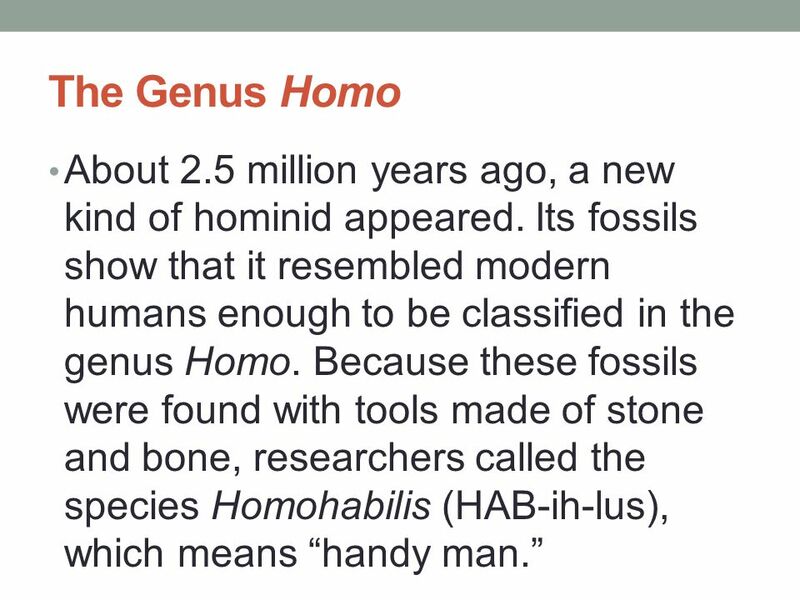   Probably first appeared about 200,000 years ago. 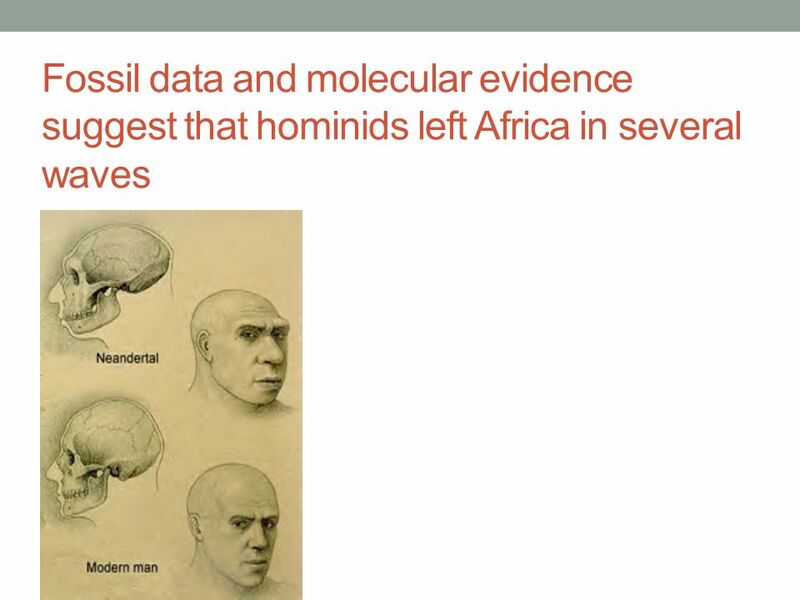  Paleoanthropologists study human evolution.  There is sparse evidence relating to the evolution. Ch 12: The History of Life. The geologic time scale divides Earth’s history based on major past events. 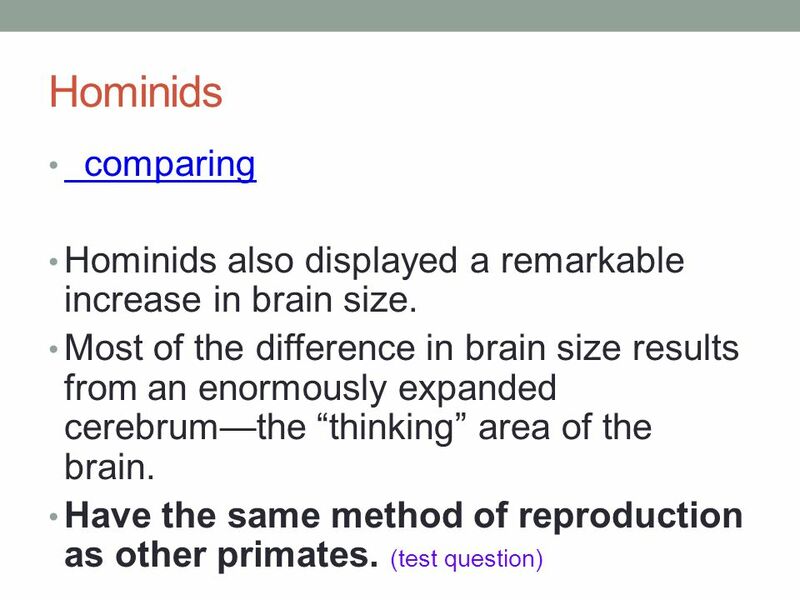 Primates BIO 2215 Oklahoma City Community College Dennis Anderson. 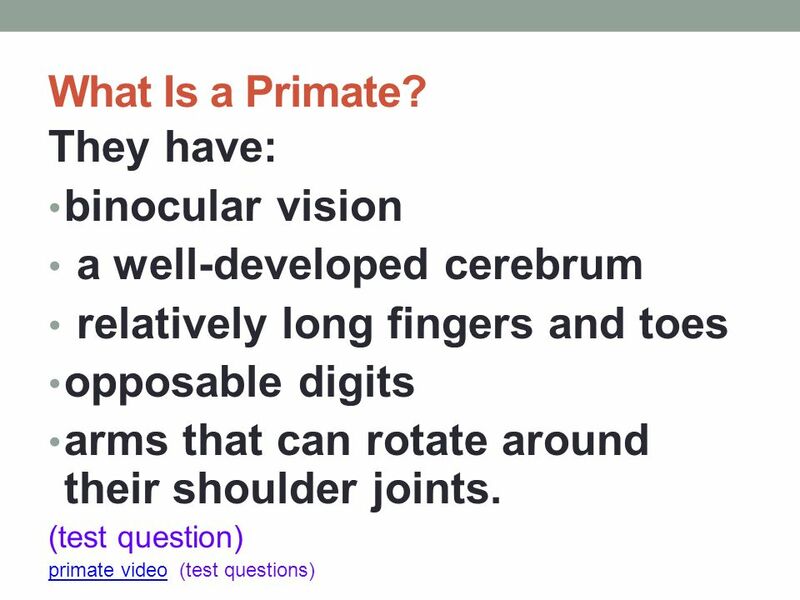 Primates A. Primate: group of mammals that include lemurs, monkeys, apes, and humans. 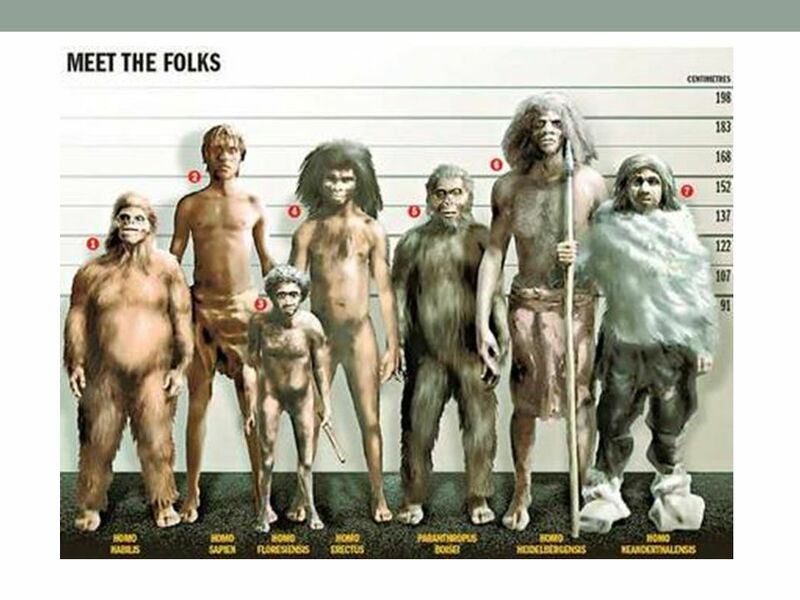 Human Evolution. 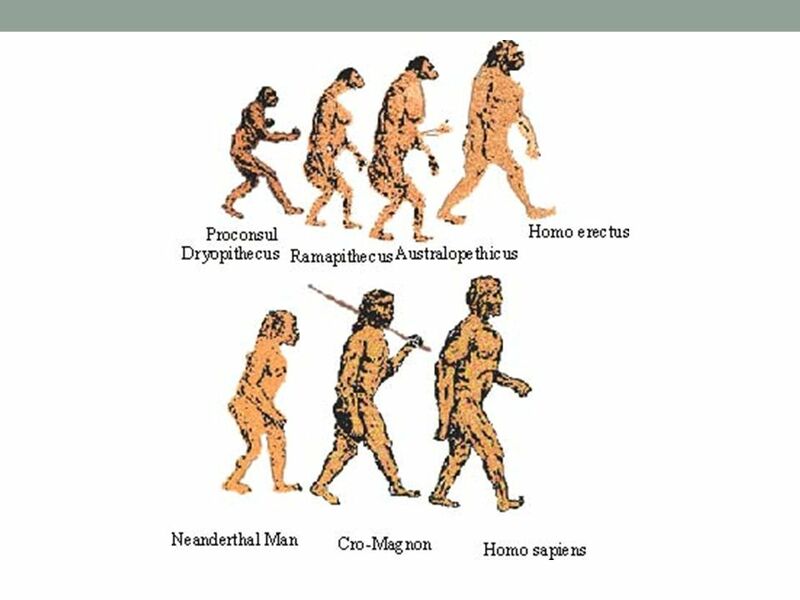 Did we evolve from apes? 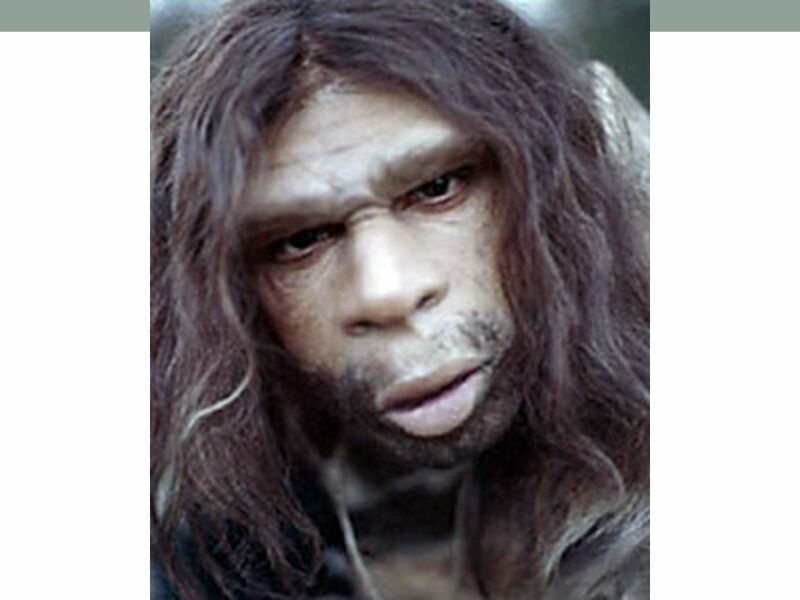 Humans DID NOT evolve from apes we have a common ancestor. 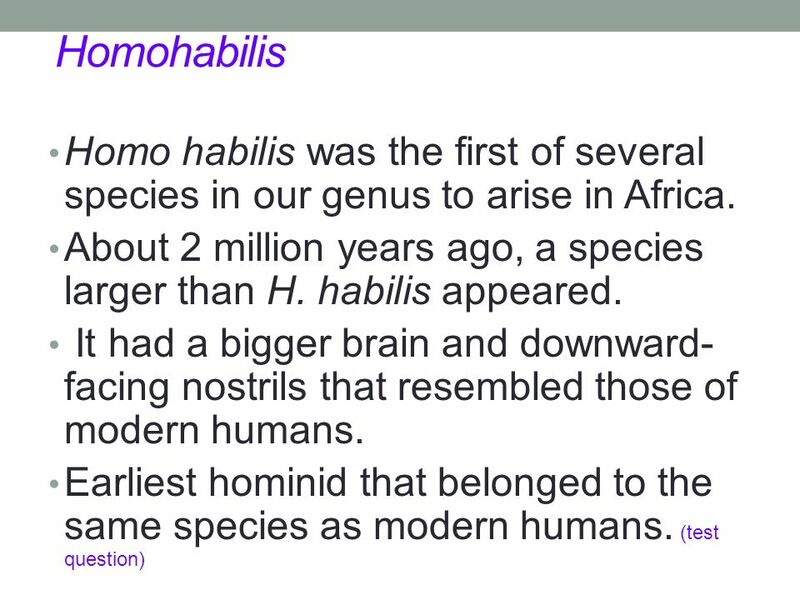 1 Human Evolution Chapter Human evolution Closest living relatives Fossil hominids (“missing links”) Origin and spread of Homo sapiens. 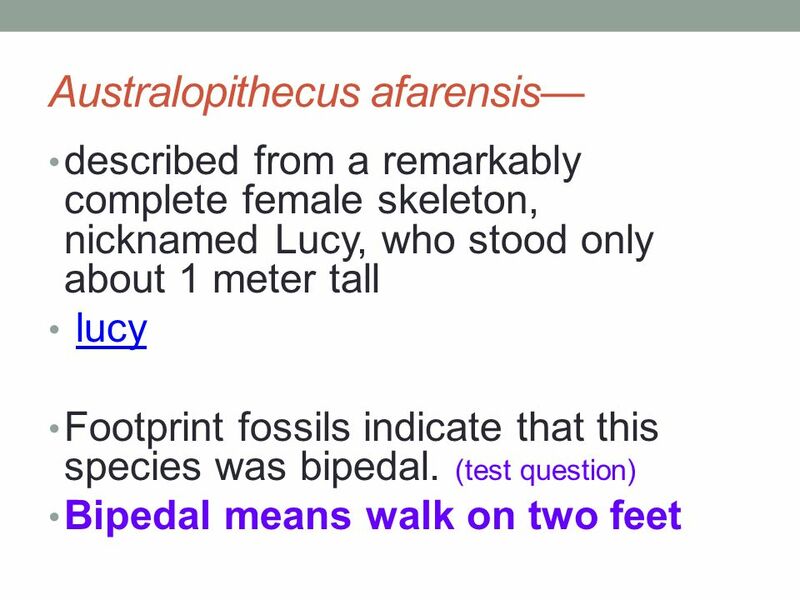 Lesson Overview 26.3 Primate Evolution.